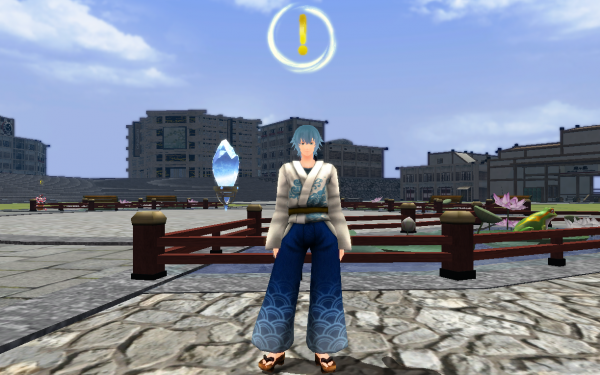 Onigiri is an MMO Action RPG with a fast weapon changing battle system. Join a party of other players or travel with 8 NPC companions on your journey. With simple controls, you can dive into the thrilling world of Onigiri. Switch between weapons to battle through the Youkai. Maintenance is complete as of 7:15pm PDT. *You can accept the present via going to the ""Menu"", and clicking on ""System"", and selecting ""Presents"". *This present can only be accepted on one character per account, so please be careful when accepting it as once it is accepted it cannot be accepted on other characters. We apologize for the inconvenience caused by this issue and we thank you for your kind patience. We hope to see you in-game soon!" This is the Onigiri Service Team. The contents for the 4/15 update are as follows. From 4/15 after maintenance to 5/26 before maintenance. For more information please check out the following page. Ihee the Wholesaler has arrived to Onigashima, talk to him to undertake a new quest where you will meet "Uesugi Kenshin" and "Takeda Shingen"! ・A special login bonus calendar is underway! An all new login bonus calendar will begin from 4/20 at 12pm PDT. From 4/20 at 12pm PDT to 5/10 at 11:59am PDT. For information regarding bug fixes and ending events please check out the following page. *Update contents may change without notice. We apologize for the suddenness of this notice but we ask for your kind understanding. Thank you for playing Onigiri. We have patched an issue for the Steam client version of Onigiri as of 4/4 4pm JST. This patch did not require a server reboot. Please download the new patch by rebooting your steam launcher. You can also manually update Onigiri via the properties menu. ！ssue wherein use of a controller would cause the cursor to move arbitrarily has been fixed. We apologize for the inconvenience and ask for your kind understanding. We hope to see you in-game soon. So... I am enjoying Onigiri. Its maybe like 100 steps back from playing the one on website (Non-steam PC version) but still a lot of fun. As always it is almost impossible to get a stable party. No one actually replies when you do. 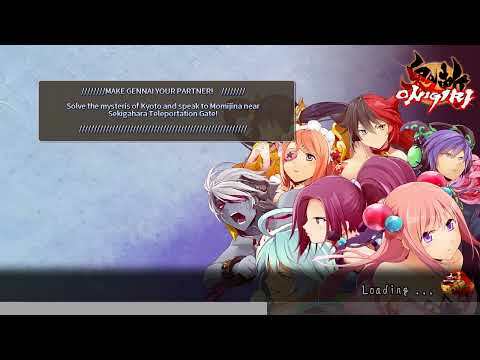 One thing i realllllllly wish they would fix about Onigiri is the crash issue. It crashes at all of the wrong times. When i get a party, When im almost done fighting a hard boss, Right in the middle of nyankoropon. SMH I really want to thumbs down for this reason but i wont. Just FIX THE DAMN PROBLEM ALREADY!!! Hello everyone i am a ps4 player who got extremely bored and i am now on steam, i am currently 107 on steam. Hope to hang out with you sometime. IGN: Brimtone Btw i am mostly a solo player just to let you know, but i will help out if needed. Whenever i start up my game it doesn't fully load. Instead it just makes a black screen and crashes. Can anyone help?